Israel Folau has refused to back down from his homophobic comments after his contract was terminated by Rugby Australia. Those comments subsequently saw him expelled from the national side in a World Cup year for ‘committing a high-level breach of the Professional Players’ Code of Conduct’ while his future with the NSW Waratahs is uncertain. He was given 48 hours to accept sanctions or face a code of conduct hearing. But Folau has stood vehemently by those comments. England’s Billy Vunipola was one of a number of internationals to step into the debate, controversially backing Folau. And while his future with the RFU remains in the balance, Channel 4 dropped him from his commitments to the broadcaster. Many current players though took to social media to speak out against his comments. 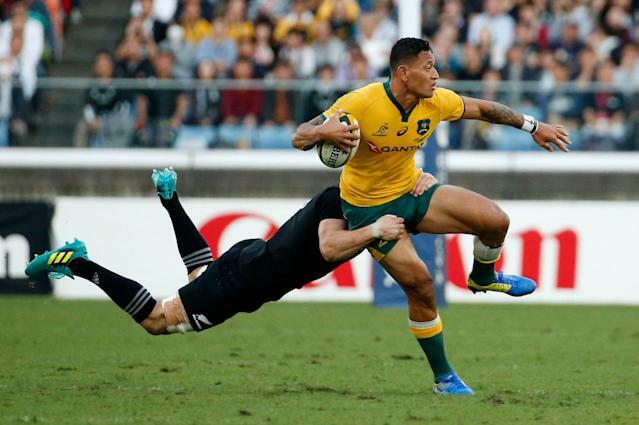 When asked if the fallout has made him reconsider his comments, though, Folau replied: “Absolutely not. I’ll stand on what the Bible says. I share it with love.